Before I get started singing the praises of Golden Books, I'm happy to announce that my contact page has just been freshly installed on my site! Come & help me test that everything's working & in order, by sending me an email. Just come & say hi, & I'll say hi back! I was going to put my info page up today too, but it's getting late & I have dinner to make (vegan leek & "feta" pastries! ), so I'll make sure to do it during the week. Now, down to business... I bet a lot of you grew up reading Golden Books. I love that they were such an accessible way to get kids reading & appreciating great illustration. Earlier this week, I was working on a picture, & it occurred to me that it was strangely reminiscent of the spine & endpapers of a Golden Book. It was purely incidental, but it just goes to show what sponges we are as children. How the things we read impact on us in such a profound way. Googling Golden Books today, I discovered this fabulous blog, sadly no longer updated, but it's a little gold[en book]mine of mid-20th century illustration. I've posted the merest snippet of what you'll find there, from some of my favourite illustrators, such as Richard Scarry & the amazing Alice & Martin Provensen. I owned this edition of A Child's Garden of Verses & a few of their other books. I wish I still had them! Here are some of the gorgeous illustrations from my favourite book when I was three - Nurseryland Annual 1970 - an illustrated book of poetry. I loved poetry when I was a young'un, & loved this book in particular because of the beautiful pictures. Google hasn't been very enlightening about the book's illustrator, simply credited as Hutchings, but what a talented artist - I love his use of textures. I thought these pictures were so magical when I was little, in fact I still do! I loved this book so much, it eventually fell apart. My mum repaired it with tape, which you can see in the third image. I could have Photoshopped that out when I scanned the pages, but I think seeing the repairs on this beloved old book is kind of nice! Some of you might already know about my sister Josella's wonderful site Tack-O-Rama, but for those who don't, it's a treasure trove of retro fonts, design & clipart, & you must visit it at once! She not only has free samples of her clipart for y'all, she also sells large-format & scaleable images individually & a collection of all 714 images. Jo & I were talking typography the other day, & I was looking at the new additions to her font archive including some lovely, lovely new script fonts. I'm about as fanatical about script fonts as I am about circus fonts, so I felt it was time to post some of my old favourites, & some of my new favourites courtesy of Tack-O-Rama. Script fonts bring bags of vintage charm & glamour to your design projects. 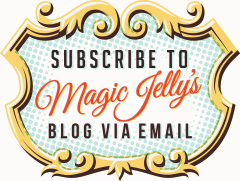 I've used a few of them right here as part of my blog design (which is not particularly glamorous, but I hope it's a little charming!). Some of them will come in handy for the holidays, don't you think - for very festive cards, tags, labels & invitations? I hope you love them as much as I do! Please note: The fonts marked with an asterisk in the list below are for personal use only, but the rest are free to use in commercial projects; but just to be sure, please read each individual designer’s licensing agreement. 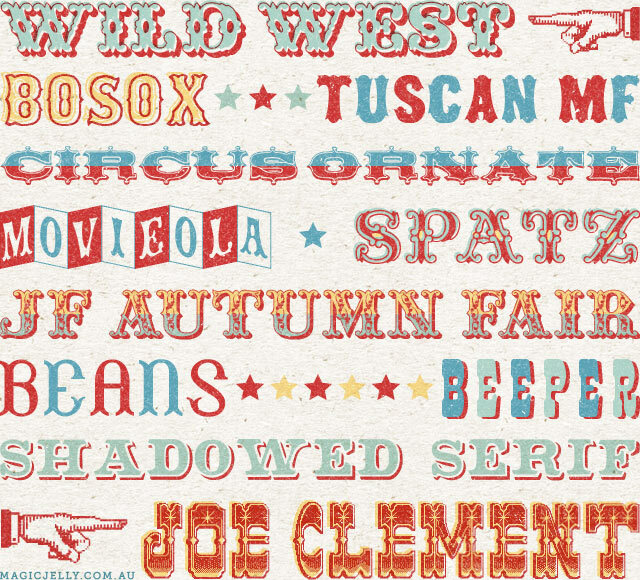 A long time ago I posted a list of some of my favourite typefaces of the circus/carnival/sideshow/wild west persuasion (which you can take a look at here). Since there are so many fabulous fonts to choose from, I thought I'd post some more for your typographic pleasure! The fonts marked with an asterisk in the list below are for personal use only, but the rest are free to use in commercial projects; but just to be sure, please read each individual designer's licensing agreement. (By the way, the pointy hands are actually part of the Joe Clement font - the left & right angle brackets). I shall be posting a list of some of my favourite vintage & script fonts soon too. Shuzo Ikeda 1922-2004, Japanese Printmaker. 10mm wide strips of vintage paper, waiting to be collaged. My friend's comment when he saw me painstakingly cutting them: "You're insane". 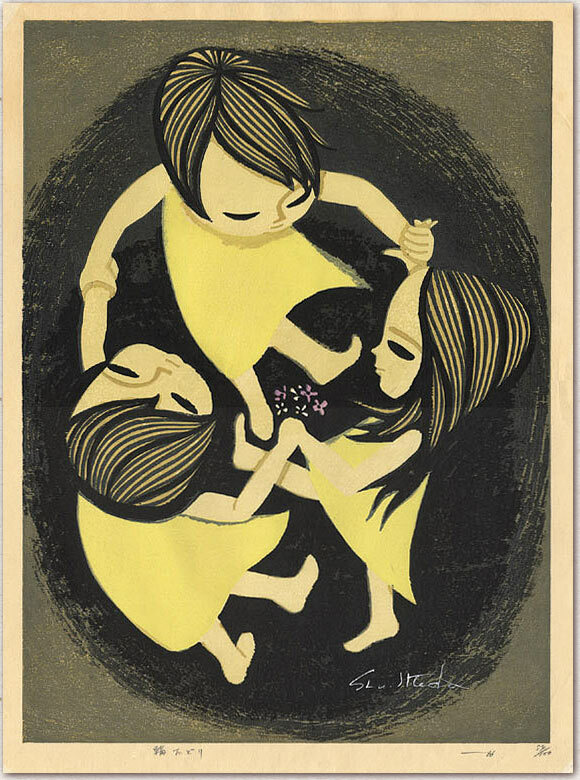 Hands up who's a lifetime member of the Mary Blair Appreciation Society (if there is such a thing)? Meeeeee!!! 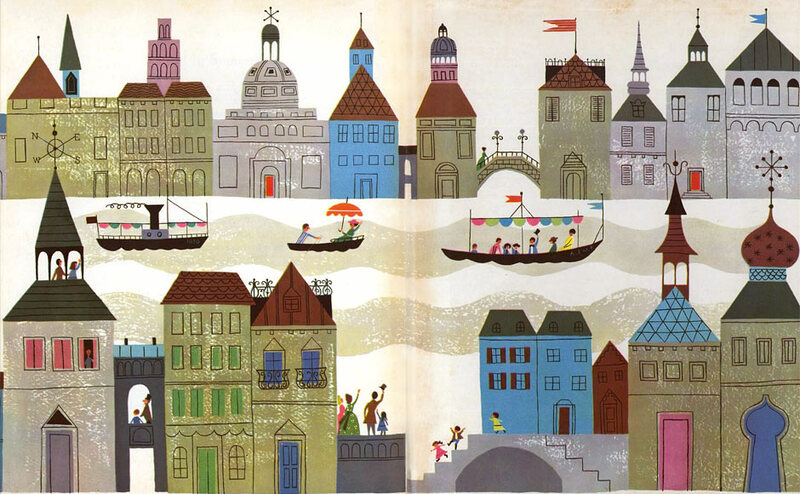 I've loved Mary Blair since I was little & first read I Can Fly. Isn't it funny how kids study things so intently? Well I know every brush stroke of every illustration from that book, & when I recently got hold of a first edition copy & flicked through its pages for the first time in over 30 years, it was like being dumped over the head with an ice-cold bucket of 'OMG, I remember that!' My favourite picture was the one I've featured here, of the little girl as a make-believe worm in her fuzzy green beret & matching cardie. I wanted an outfit just like it when I was 5 - so stylish! 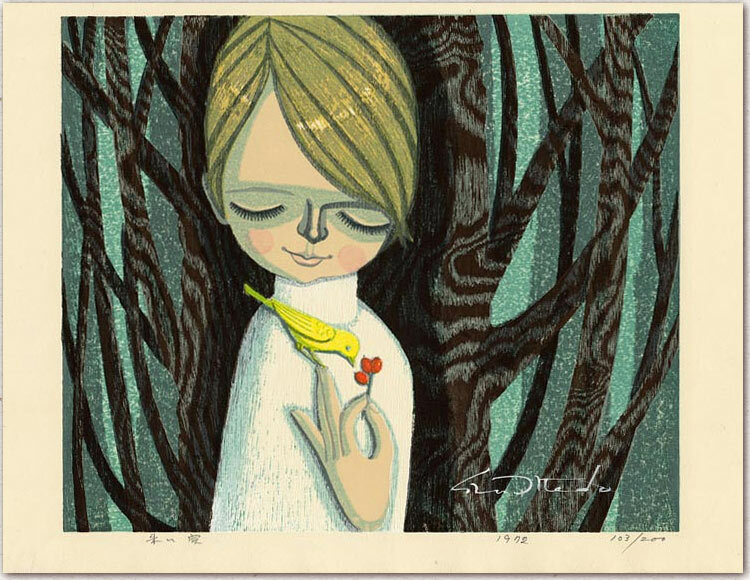 The beauty of Mary Blair's work is that it's just as fresh as it was 50 years ago, & her influence extends into the 21st century with so many artists (either consciously or otherwise) borrowing a little something (or a lot) from her style. There's so much I could say about her work - about her amazing instinct for colour, how much I love her textures, the way she uses paint, etc, etc - but what I love most is her energy & spontaneity, the boundless sense of joy, & most of all, the memories her art evokes. 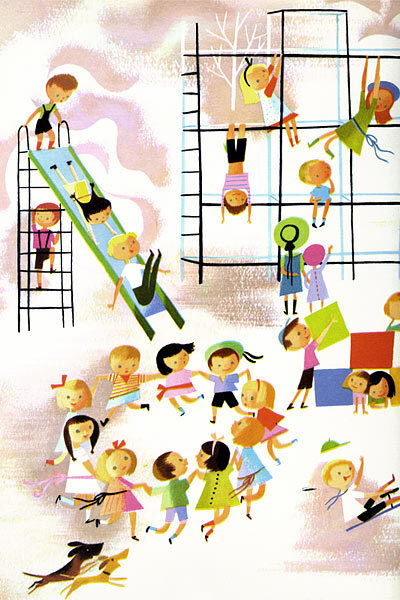 If you'd like to find out more about Mary Blair, Wikipedia is a good place to start. 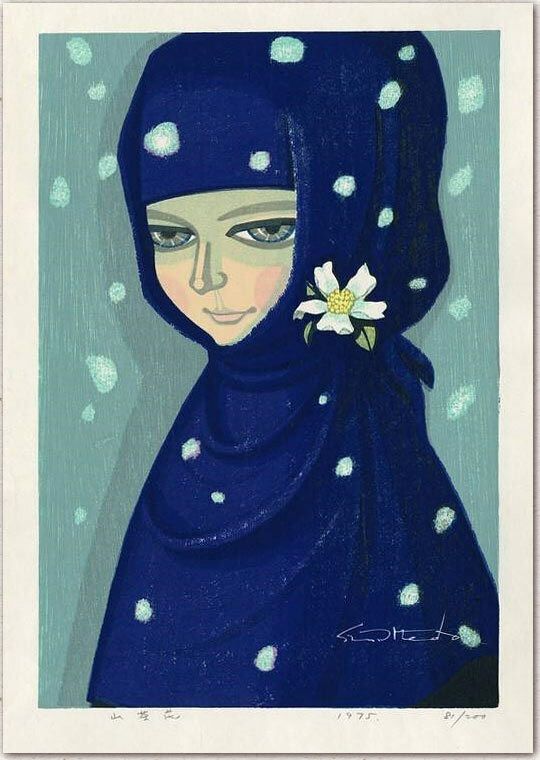 You can also check out some more of her work at the ASIFA Hollywood Animation Archive & Cartoon Modern. Top Left: from the front flyleaf of The Golden Book of Little Verses by Miriam Clark Potter, first published 1946. Top Centre: also from The Golden Book of Little Verses. Top Right: from the endpapers of The New Golden Song Book. Above Centre: from I Can Fly by Ruth Krauss, first published 1950. Below: Two spot illustrations from The New Golden Song Book, first published 1945. When I was a kid, I used to collect little treasures such as toys from cereal boxes, Christmas crackers & vending machines, & keep them in a tin toffee box which I called my 'Little Things Box'. I'd spend hours looking through my prized collection... I remember in particular, a pink plastic poodle I loved, & a tiny deck of playing cards. I wish I had kept those relics of my childhood (remember Bretodeau's boyhood stash in Amélie?) - I'd love to see them again! I still collect plastic toys & keep them in vintage cigar boxes. Here's a small sample from my collection. Some were bought from Covetable Curiosities' & A. Bel Emporium's Etsy shops. The rest I found foraging at secondhand markets. I love my collection of little things!